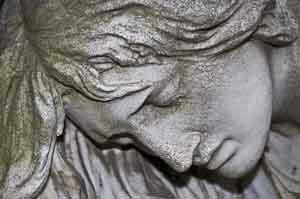 Grief is a complex human emotion that is shared equally by God. Until we learn to experience grief, we can never be fully human – or fully whole. Jesus Christ was called a “Man of sorrows” by the prophet Isaiah. Because Jesus experienced grief and sorrow, He can empathize with our deepest pain. No amount of grief and suffering was withheld from Him. Grief can cripple anyone if not understood and properly managed. One goal is to learn how to observe and assist our grief throughout its process, without being consumed by it. Even Jesus took time to weep. But in our hectic lives it is hard to slow down and allow the grief to take its course. But know this … if we don’t deal with our grief, it will deal with us. Sometimes grief becomes complex. It is woven into prior, unresolved issues of pain, events of extreme sadness that we never managed to process. This isn’t always by choice. Unless it’s safe – especially in childhood – it is impossible to properly express and manage grief. Then it comes back to manage us. Sometimes the loss of a friend or loved one can trigger what seems to be an irrational grief response. That is when help may be needed. It is not good for a person to face grief alone, or navigate the pain without assistance. Friends and family can do their part, but often having a neutral, yet empathic person can do wonders to work through seemingly unmanageable grief. If not properly managed, grief can become perilous. Many hurting people attempt to cope with pain by entering into or increasing an addiction. This only curtails the grief, and piles it up like boulders that fall when you least expect it. It can also trigger depression and hopelessness. And some people will turn away from God during the very time they need Him most. This is a time to build faith, not let the enemy our our souls tear it down. I pray that God give you comfort and hope in your grief. If you find yourself in a place of insurmountable grief, and you need assistance, please call me for an interview. I have helped dozens of individuals, couples and families work their way through difficult life situations and times of loss. Blessings and assurance to you.